Even in Grammy’s darkest hours, CU brings its picking powers! – Superhero television show about our blog from the 50’s. Share your own picks and predictions in the comments, and be sure to check back for our live blog! The awards telecast starts at 8 pm Eastern, and I imagine there will be some red carpet action in the hour prior. Kevin: Am I wrong for preferring Eric Cartman’s rendition of “Poker Face” over the original? This is a pretty lightweight slate of contenders. I really like “Halo”, but I suspect Kings of Leon will win, simply because it’s the only rock song in a lineup of pop hits. Dan: “Poker Face” just feels very representative of popular music in 2009. I wouldn’t whine if it got passed over so that “Bad Romance” could take this award next year, though. Tara: I would’ve pulled for “Single Ladies” in a heartbeat had it been submitted, but “Use Somebody” is just as deserving of this award. It’s a fantastic song even outside the context of its moment in pop culture, and it’s the kind of larger-than-life song that the voters have picked to win in the past. It’s always nice to see a country radio hit in there, but I honestly can’t stand “You Belong With Me.” I dig the Kings of Leon song, but the record that I enjoy the most here is “Halo.” Some pundits have suggested that Beyoncé threw her chances at this trophy by submitting “Halo” instead of “Single Ladies”, but I like that song even less than “You Belong With Me.” Love “Halo”, though. Great to see Liz Rose in there, too, but I still can’t stand the song. 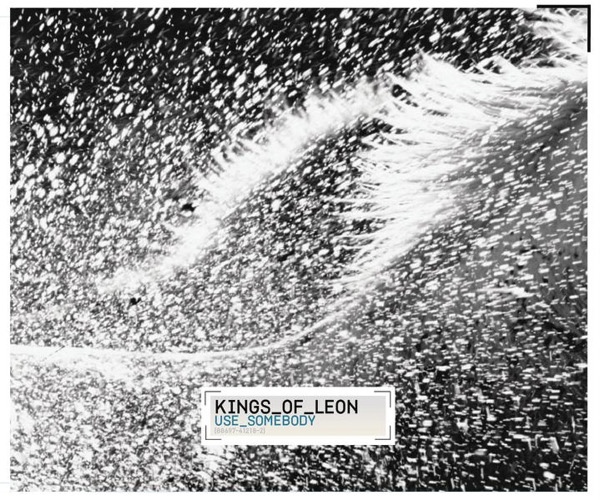 I think “Use Somebody” is a great composition that could easily be a hit in other formats if the right artist covered it. Are you listening, Sugarland? This one’s certain to be a big hit, so you might as well pick it up cheap. Today’s Amazon special is the new Lady Antebellum album Need You Now for $3.99. There’s only one artist that could improve on this, and that’s Alison Krauss. She’d be a perfect fit for a song that starts with a man being stood up at his own wedding, ends with him mourning both of his parents, and finds him doubting God’s mercy, God’s very existence. What classic pop song would you like to hear covered by a country artist? The debut country offering by Broadway star Bundy is one of those weird critical anomalies: a single that dares you to hate it, and thereby ends up being – though you’ll never admit it to anyone in person – kind of charming. It wears its campy garishness more boldly than possibly any country release since “Save a Horse (Ride a Cowboy),” which isn’t so surprising coming from the former lead of Legally Blonde: The Musical, but is certainly big news in a format as dependent on the tried-and-true as mainstream country. That’s not to say “Giddy On Up” (commiserate with me for a sec on that title?) is a completely odd duck, since in plot terms, it’s is just another cutesy girl-power kiss-off song, the likes of which have been standard fare since the Shania boom and will probably be for some time to come. This one can stand proudly among the most vacuous of that sub-genre, too, with the only original lyric being a little knock on Bath & Body Works in the second verse. I had such a negative reaction to “Strange” that it kept me away from the new Reba McEntire album at first. So imagine my surprise when the second single from Keep On Lovin’ You, “Consider Me Gone”, turned out to be my favorite single from her in thirteen years. Everything that “Strange” wasn’t, “Consider Me Gone” was: introspective, self-assured, fully believable and completely adult. It left me more receptive to McEntire’s music than I have been in a long time, so I eagerly dived in to the title track, which is now the latest single. While it doesn’t approach the perfection of “Consider Me Gone”, I must say that it’s still a good deal better than the bulk of this legend’s output. 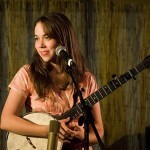 It’s really unfair to compare her to the newer acts that dominate the radio. Among the women, only Carrie Underwood is in her league as a vocalist, and she doesn’t have the thirty years of life experience to draw upon that Reba does. There was considerable grumbling among eMusic’s 400,000-ish subscribers last year when the formerly indie-centric music download service enacted a dramatic increase in monthly user subscription fees in exchange for posting a few good chunks of the Sony catalogue. Thankfully, the service endured the backlash long enough to strike up another major-label deal, this time with Warner Music Group (and no additional price hike – so far). 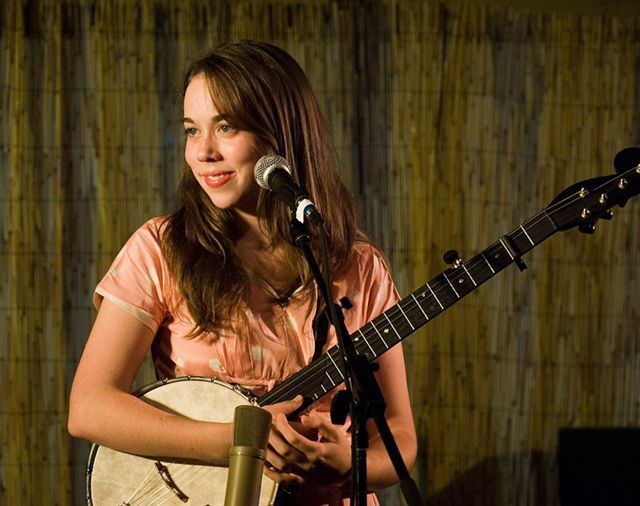 Back in the middle of June, William reviewed Sugar Hill recording artist Sarah Jarosz’s excellent debut album, Song Up in Her Head. Now, for a limited time, it is available at Amazon’s digital store for just $1.99. If you haven’t given it a chance yet, this is the time. It will be more than well worth it.